The strategy was to implement the project in two phases. The first phase to be a feasibility study for the envisaged storage and processing center which could also be used as a training center and to expose the future actors to best practices abroad and the upcoming developments around them. In addition it would be possible to provide some training and improvements for existing processors. The second phase would be the realization of the business model developed under phase I. Phase II would imply involvement of private and public investors and infrastructure development. The aim of the current phase is to evaluate the feasibility of establishing storage/processing centers in the fruit and vegetable supply-chain in the Republic of Tajikistan in order to contribute to job creation (especially of marginalized population group such as women) and food security in Tajikistan. Storage/processing centres will target not only local markets, but new international markets. The centres will be structured around all segments of the chain, namely production, processing, agro-food testing, packaging, logistics and marketing. Furthermore the storage/processing centres shall serve also a training site, where farmers could see the modern technologies “at work” and at the same time obtain information/training from agricultural advisers. The project will target a large number of smallholders (i.e. women farmers, youth, producer associations, cooperative groups, etc.) and Small-Medium agro-enterprises. First it will be necessary to investigate the feasibility of the needed investments and to enlighten the actors of the value chain regarding the possible upcoming developments. The result of the investigation, the feasibility study will provide a basis for decision-making as well as documentation for possible stakeholders and possible investors. 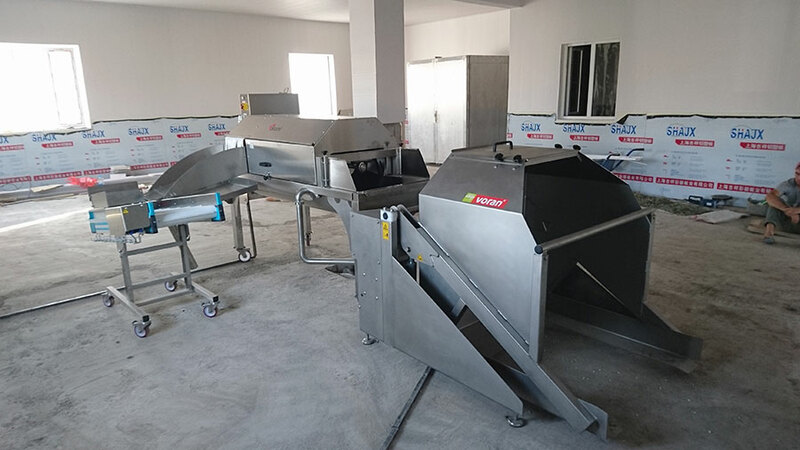 We have supplied, delivered, installed and trained the user for Apple Processing Equipment for one of the Training Centers in the Khatlon Region of the Republic of Tajikistan to the United Nations Industrial Development Organization (UNIDO). The project was visited by the president of Tajikistan and his delegation in 2017.